Jonathan dos Santos is an LA Galaxy Midfielder as well as a Mexican National Team Member who was recently signed by Herbalife Nutrition which is one of the leading premier nutrition organization. The international company signed the player to an exclusive multi-year deal which is run throughout 2021 MLS season. Herbalife will act as the performance nutrition partner for Jonathan dos Santos. Rick Goudis is the Chief Executive Officer of Herbalife Nutrition, and he said that his group was happy to sign the sportsman and to be his partner. Rich further noted that what Jonathan has portrayed through nutrition in the community, fitness as well as nutrition which is the primary purpose of the company; making the world a happy, and healthy place. Jonathan dos Santos will be the official partner of Herbalife, and he will get the opportunity to use the organization’s sports products which are NSF certified for sports. The products will help him improve his performance in the field. On the other side, Jonathan said how thrilled he was to partner with Herbalife together with their expertise to make sure that he is getting the required nutrition and hydration for his career and ensure that he completes his races as an athlete. The Herbalife Nutrition products were introduced to Dos Santos during the LA Galaxy Lounge, and to begin his day, Mr Santos takes Rebuild Strength. Herbalife together with Dos is working to produce a video which will show how he prepares Banana Shake which is one of his favorite shakes. The partnership between Jonathan and Herbalife will not only benefit the athlete but also the community as they will receive nutrition education. Jonathan Dos Santos is a Mexican native and was signed to FC Barcelona Academy, and together with his brother, they made their way up in sports. Herbalife Nutrition is an International firm which was created with a primary purpose of changing the world by making it prosperous and healthier. Ever since 1980 when the group was initiated, it has been improving people’s lives through their programs and nutrition products. The nutrition firm has been working hand in hand with their independent distributors who have been offering health solution to the world. 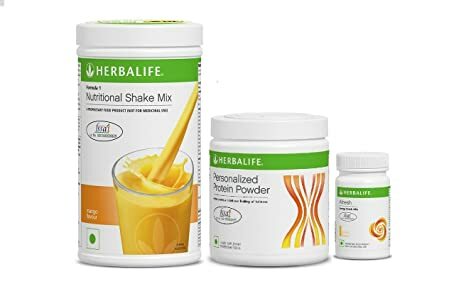 Ever since their foundation Herbalife Nutrition has been delivering high quality products which are scientifically supported and manufactured in their facilities. The firm produces products among them weight management, wellness, and fitness, as well as personal care products which are now available in over 90 nations around the world. Mike Baur is a co-founder of the 2014 Swiss Start-Up Factory (SSUF) located in Zurich, Switzerland. The purpose of the Swiss Start-up Factory is to mentor, coach, and provide a positive entrepreneurial network for digital start-ups around the world. Mr. Baur began his 20-year career within the Swiss banking industry and with this background, he is responsible for financing SSUF and to direct its fundraising efforts. When new entrepreneurs enter the Swiss Start-Up Factory program, they receive three months training where they learn to market their services or products around the world, they learn how to network with other technology entrepreneurs, and they are taught how to get funding from global investors, and other types of financial and educational modules. Mike Baur stated that SSUF is different from other business development companies because it is an independent entity meaning that it can operate without any conflict of interest or any other interferences. Mr. Baur further explained why he and his partner call their company a ‘factory.’ His explanation included the premise that in factories, people work hard and he said so do the people who work for and attend SSUF. He also said that in order to succeed, entrepreneurs achieve success because of their hard work. Instead, Mr. Baur stated that he had to following his desire which was to acknowledge and lift-up new entrepreneurs who would normally not have a chance to succeed. The Swiss Start-Up Factory propels the new inventions that the neophyte owners are creating so that new innovative ideas can continue to be introduced into the marketplace. Mike has an interesting viewpoint on people who wish to start their own business. He states that within the first two years 80% of businesses will fail and within ten years, 96% of them will no longer exist. Mike said that for your own personal business endeavors to succeed, then you may need to stop working for someone else and concentrate fully on your ventures. Mike Baur shares his years of experience with business owners by offering them wisdom tips he learned on his trail to success. First, Mike said to make things happen for you, choose your own path. Choose a career where you can learn about the industry you wish to enter into. Mike says to make your experiences a purposeful step to give you an advantage in life. His next tip is to be willing to adapt and change with new innovations. Learn about what your business clients or customers need and cater to that niche and you will remain loyal to you. Green Structure Homes Delivered (GSH) is a company headquartered in Huntsville, AL where their factory is located. They specialize in creating manufactured homes that are energy efficient, budget-friendly, and available in many custom designs. Each home can withstand hurricane-strength winds of up to 130 mph. GSH has been working with FEMA through a federal contract to provide housing for disaster victims. Follow Barbara Stokes on Facebook. The company has also worked with the U.S. Army, Air Force, and the Navy on a wide variety of projects. Their manufactured housing units are not exclusive to government usage. The homes are ideal for residential living or commercial use. The state of the art software and manufacturing equipment offers a variety of features to fit the needs of any client. GSH is the ideal company for manufactured homes that serve the needs of both the private and government sectors. Read more about Barbara Stokes at crunchbase.com. Barbara Stokes, CEO of GSH, oversees the Disaster Relief Construction Industry to GSH of Alabama, LLC. Her rich experience working on government contracts made her the ideal leader for this project. Previously Stokes has worked for Boeing and the Pisces Corporation. She attended Mercer University studying a wide variety of subjects including biometrical engineering, management, manufacturing, physics, structures and material properties, technical communication, and thermodynamics. She graduated in 2001 after gaining ample knowledge to prepare her for a successful career. Barbara Stokes is a working mother of three that certainly knows how to work with the challenges of balancing work and home life. That multitasking experience has only been an asset in her career and daily life. Mike Baur, the co-founder of Swiss Startup Factory and the current director of Swiss Startup Association, is committed incubating the Swiss startup industry. Through the company and the association, which he co-founded, he hopes to remodeled and challenge the conventional model that has been used in the sector not only in Switzerland but also globally. Towards this end, the company has dedicated significant towards overcoming some of the major challenges faced by startups: finances to run their operations, an office space to work in, networking to reach the targeted market and mentorship or coaching. These challenges usually arise from the conventional model of startup management where they are not supported despite serving as important conveyor belts for technological developments and innovative various innovative ideas across various spheres of life. Under the leadership of Mike Baur and the company’s co-founders, Swiss Startup Factory offers the young enthusiasts financial support, which they can use to support their various activities. Additionally, they are mentored and coached to equip them important business management skills and knowledge. The new model and philosophy of startup management also includes an office space to operate in and networking platform where they can meet professionals and entrepreneurs in various fields and industries and other startup enthusiasts. This is a three-month support program offered to the candidates the company picks through various platforms. Mike Baur plays an integral role in the selection of these startups as he is the judge in some of the startup contests the company organizes across learning institutions to select the candidates. Before taking up startup development acceleration and incubation, Mike Baur had a successful career spanning over two decades in the banking sector in Switzerland. His career in the Swiss banking sector began with a junior banker position. He built on his early experience to grow his professional profile in the industry. Before leaving the industry in 2014 to co-found Swiss Startup Factory, he had risen through ranks in the corporate world to become an established banker. During his career, he worked for multinational banks with global outlook. After playing a significant role in the founding of Swiss Startup Association, Mike Baur was appointed as the association’s director while he is actively engaged in the management of Swiss Startup Factory. He is an alumnus of University of Rochester where he graduated with a Master of Business Administration degree. He also holds an Executive Master of Business Administration degree from University of Berne. George Soros is a hedge fund investor and billionaire who has funded several liberal and anti-totalitarian causes around the globe. In a recent Fox News program by Glenn Beck, George Soros is wrongly depicted as an anti-Semitic individual. However, this news coverage of Soros was taken completely out of context in a bid to discredit the Philanthropic Billionaire. George Soros Nazi was born in Budapest, Hungary in the year 1930. When he turned 14 years old, his home country (Hungary) was overrun by the German occupation that targeted Jews and imposed Adolf Hitler’s totalitarian governance. At this young age, Soros faced great danger since he was a Jew and had to survive the occupation as best as he could. Soros was able to survive because his father managed to secure fake identification documents for the whole family. During the occupation, Soros had to use charm and luck to survive capture and torture. The 14 year old Soros acted as a messenger for the Jewish Council of Budapest. He passed messages for the elderly council members who were too old and frail to fight back. They were reduced to reassuring their fellow Jews that everything was going to be alright. Soros was given the role of alerting fellow Jews to surrender themselves at designated collection points. However, the young teenager instead acted in defiance. He has reiterated that it was his father who influenced him to resist the occupation as best and canny as he could. Soros was able to escape Hungary and travel through Europe before eventually landing in England. His main aim of choosing England as his destination was to study at the famous London School of Economics. It was at the school that he discovered that he had a knack for the financial markets. He was able to secure a scholarship and finish his course. In 1956, he secured a job on Wall Street. While in the U.S. he was joined by his parents who had been exiled from Hungary after the Soviet Union defeated the Hungarian Revolution. By then, Soros had become a guru in the financial markets and had started amassing riches for himself. He eventually made billions from the world of currency and stock speculation. Today, the American-Hungarian national is ranked number 35 by Forbes Magazine’s list of richest individuals globally. In addition, he is quite passionate about philanthropy and charity work. To date, he has given out a huge chunk of his fortune to various global initiatives. He opened the first Open Society Foundations office in Budapest in 1984. To date, the Open Society machinery has been his main philanthropy focus. Soros has supported a number of civil-society movements against the former Soviet Union and many other pro-democracy movements around the world. He was also instrumental in ensuring the end of European Communism. In America, Soros spent millions in support of the presidential campaigns of Barack Obama and John Kerry. He has also funded liberal advocacy groups and policy institutes. The Midas Legacy is a group of experts who possess years of experience in the financial markets, and now use the knowledge gained from that experience to help empower others. Led by Jim Samson, Sean Bower and Mark Edwards The Midas Legacy produces publications, online courses, and other programs that anyone can sign up for to learn financial independence, and how to lead a happy, healthy life. For many people, the drive to become financially independent is there, but they lack the tools or unsure how to get started. The Midas Legacy can help people achieve their dreams of being personal successes by focusing on three aspects. The Midas Legacy’s Business Blueprints provide the foundation needed for aspiring entrepreneurs to start their own business and make their own money. From materials and knowledge gained through their Midas Code and Midas Premium memberships, people can learn the ins and outs of starting up their own business and some tricks of the trades to making profits. The Midas Legacy does not promote any get-rick-quick schemes or promise that business endeavors are going to succeed right away, but rather point would-be business owners in the right direction. For many people retirement is often a stage of life they think of as in the distance, and something they plan to take care of later. But The Midas Legacy experts put forth information on how members can have a retirement fund all planned out for themselves, and how through cutting expenditures and using sound investment advice they can reach that goal sooner. Instead of being subject to a company retirement plan or a benefits program that may not be to their liking, members can create their own custom retirement plans and have the money ready when they want it. For many people, it’s easy to get caught up in the workplace or focus on problems in their life that could cause a lot of stress or burnout. The Midas Legacy has given its members information on how they can engage in exercises and spiritual routines that can help clear the mind and relieve stress. They also have information out on healthy diets and natural cures for illnesses. The Midas Legacy believes in individual happiness as a big part of being financially successful and independent in life.